At Double Jab, we love to receive feedback. Positive or negative, it’s highly valuable to us. Your purchase should be received in good condition and of great quality in a timely manner. If for any reason, your order does not meet these standards and/or takes longer than what we believe is reasonable, you will be notified of this before your purchase. If for any reason you have a complaint, please contact us first and foremost, we promise to try our utmost best to assist you. 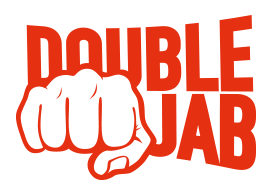 Double Jab prides itself on delivering great customer service and experience. Our brand’s reputation is important to us and our commitment to our customers, is to offer them professional service, 100% of the time. Therefore, if you are dissatisfied with an item you have purchased, you have 14 days from the dispatch date to return the item/s to us. You will be responsible to pay for the return of the item. We highly recommend sending registered post. If we do not receive the item, no refund will be offered. The item must be in resealable condition, unworn and undamaged. All packaging and tags must still be in place with none removed. If your item is a customised order, we do not offer a refund for change of mind, but if the item is customised incorrectly or damaged, we will offer a full refund. If the order is incorrect because of a miss spelling or you are at fault, no refund will be offered. If you enter the wrong shipping details at check out Double Jab can take no responsibility for this.  If Double Jab is at fault and you have received an incorrect order, we will exchange your order or offer a refund in full including any shipping costs. Note: On all returns an invoice is required for your order. Incorrect item, incorrect colour, incorrect size. Colour discrepancies: Please note the images used on the website may show a slight difference in colour to items received, we will not refund for colour discrepancies. *Please note: This returns policy is subject to change. If for any reason, your product return situation is not listed here, Double Jab Australia will be available to discuss this directly with you.